Fit 4 Boxing Club is not your ordinary gym. 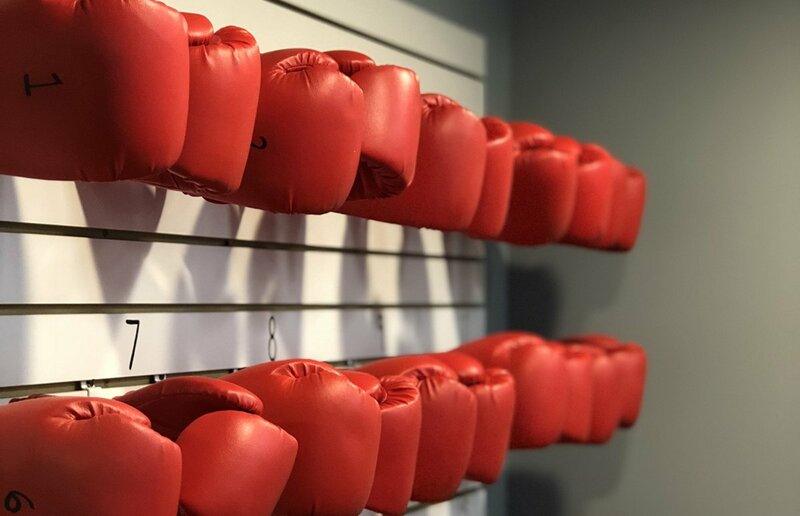 Located in Allison Park and Murrysville, we provide one of the best and most rewarding forms of exercise inspired by boxing. This form of training builds and tones muscle, burns calories, builds endurance and relieves stress. Fit 4 Boxing Club is a trainer led, fitness boxing workout. Our 1 hour, full body workout program is designed to be a fast, fun & effective form of exercise for the whole family. A trainer led fitness boxing workout that inspires everyone! Our classes are targeted towards a diverse group. The majority of our members include women and men of middle age who are looking to get fit & relieve stress. Our classes are geared toward everyone, from all walks of life, and all levels of fitness. Our classes are also extremely popular among teenagers who want to develop good exercise habbits and build self–confidence. Improve your level of fitness and relieve stress! 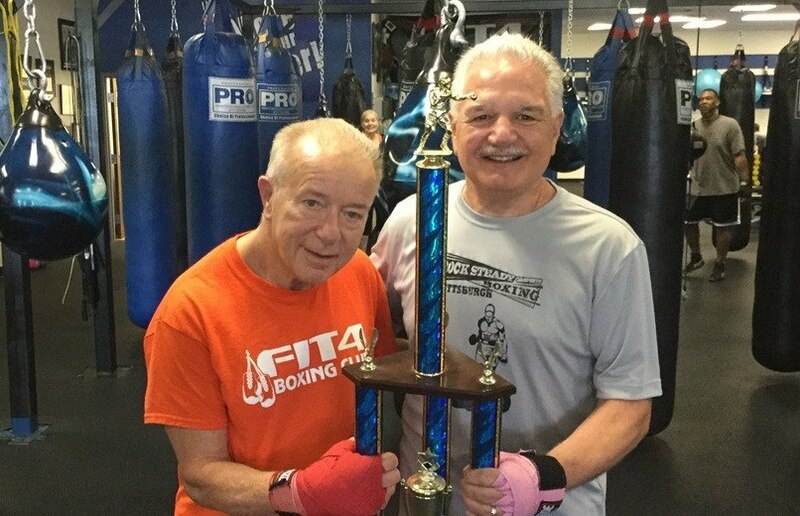 Fit 4 Boxing Club also specializes in helping individual’s diagnosed with Parkinson’s disease and other neurological disorders. Research suggests boxing related exercise can help patients improve balance, coordination, stiffness and tremors. 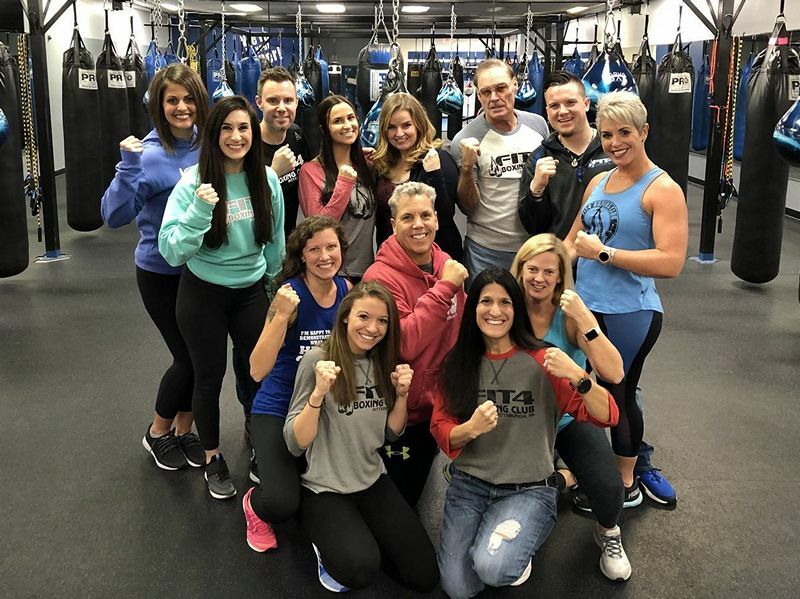 Fit 4 Boxing is the first location in the Pittsburgh area to be an authorized affiliate of The Rock Steady Boxing Program. Everyone with Parkinson’s needs someone in their corner. We teach the benefits of exercise and help build self–confidence!